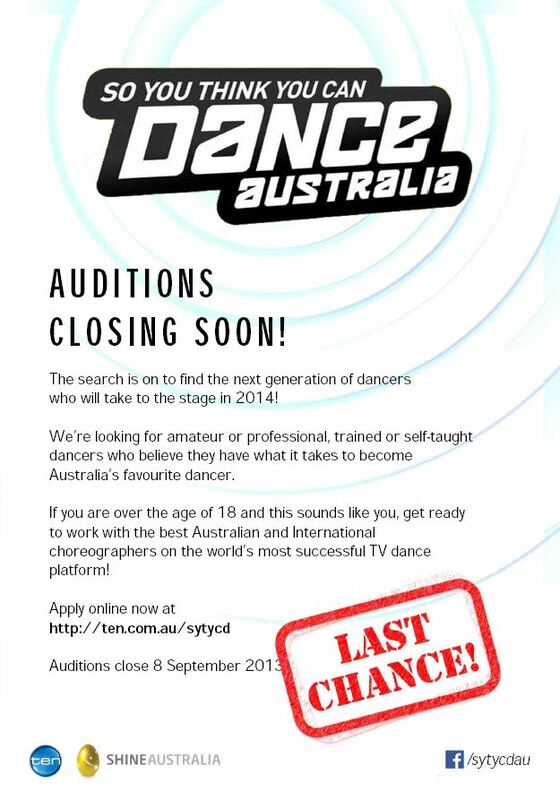 Auditions will be CLOSING very soon for SO YOU THINK YOU CAN DANCE AUSTRALIA! This is the last chance for dancers to audition and not miss out on being a part of Australia’s favourite dance show. It would be greatly appreciated if you are share the JPEG to your social media sites to help spread the word that DANCE is BACK! Next Post Strictly Ballroom - Fran Search!